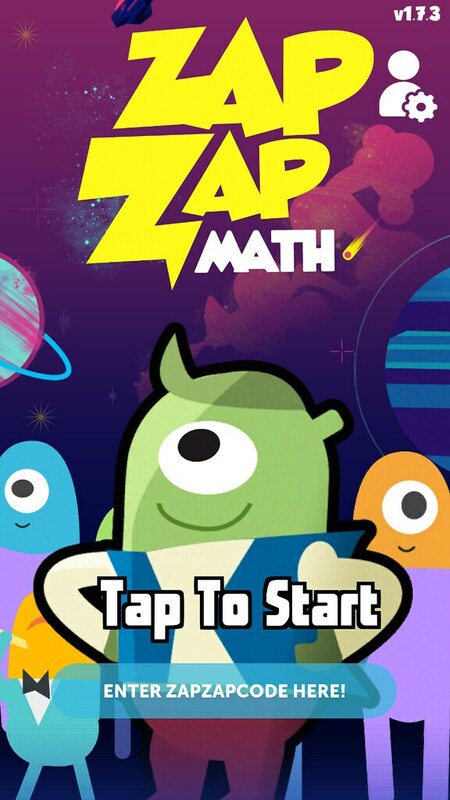 Zap Zap Math sponsored my post today about this educational mobile app. I’ve never been a limit screen time mom. Our daughter loved playing games on her handheld consoles, computer and then eventually her own phone. She is now majoring in video game design so I don’t think it was a bad move on our part 😉 That being said when she was younger we really tried steering her toward educational activities when using electronics. At the time the selection was limited, but now there are so many great edutainment apps and games available for kids like Zap Zap Math. Zap Zap Math app is available in both the Google Play Store for android and iTunes for iOS. The first really great thing about Zap Zap Math is that it spans quite a bit of age range. There are activities in the app for preschool all the way up to 6th/7th grade. That means parents can use the one app for multiple children. There are 23 games and new games are added frequently. 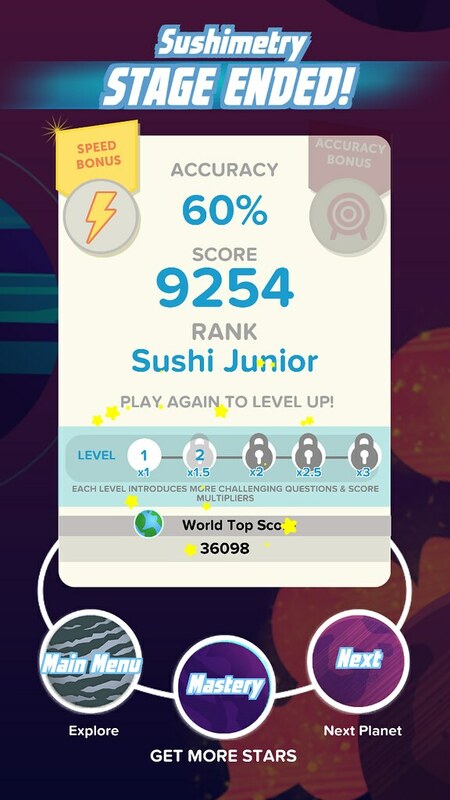 The app is fun for kids to play and parents will appreciate the fact that this quality app is free. The skills progress along with the child which is great, I really like programs that build on current knowledge, this way kids don’t get bored and are continually challenged as they play. The games cover basic math skills, geometry, angles, fractions, as well as critical thinking, logic and problem solving. The graphics and avatars are cute (they remind me a lot of Monsters Inc. characters) and the games are fun. 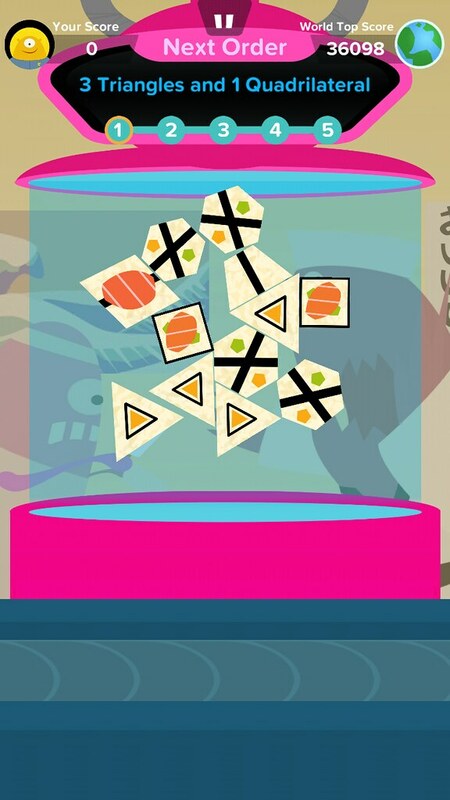 The above game is based on a sushi factory and geometric shapes; the kids love it! Each games comes with good instructions (although younger kids will have to have someone help read them). 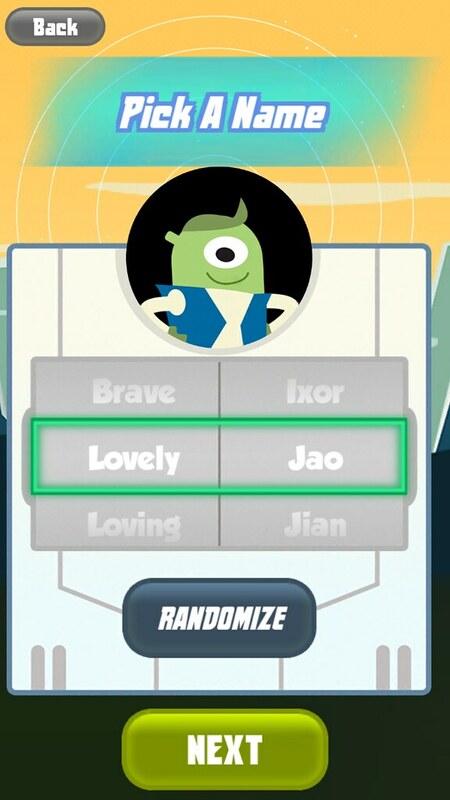 Kids can choose their own avatar and name it from a selection of adjectives and names. Parents and teachers can follow along with the child’s progress with the online dashboard. I really wish this was built into the app as I think one would have to be fairly on top of things to remember to check the dashboard to keep up with the progress. This is an awesome way for kids to work on their math skills without it feeling like homework and if you have kids that hate math or love it I’m sure they’ll enjoy playing these games. Either way since it’s free you have nothing to lose by downloading it and letting them try it out! Here are what others say: “… I’m going to insist everyone reading this download the app NOW. It’s a must-have math app for elementary!”, Smart Apps for Kids.